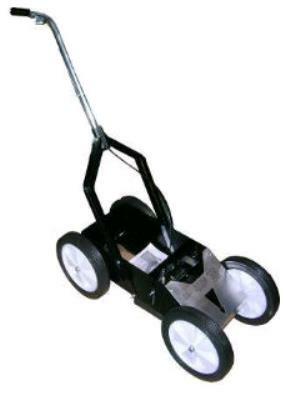 The line striper is designed to apply sharp lines on parking lots and athletic fields. It can create a stripe from 2"-4" wide, and uses special "upside down" striping paint, which we sell in-store. The handle controls allow for precise line marking. * Please call us for any questions on our line striper aerosol can type rentals in Hillsdale and Ridgewood NJ.